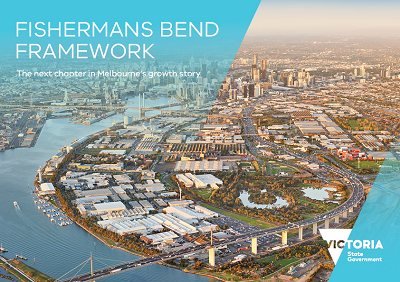 The BCNA Committee is pleased to see that the Victorian Government has finally released the long term plan to guide the development of Fishermans Bend (14MB) and protect it from over-development. The Framework is supported by new planning controls developed following extensive public consultation and further supported by an infrastructure funding plan. A smaller (1MB) "fact sheet" can be downloaded here. Next year the precinct plans will be developed to provide fine grain detail to stamp the individual character of the separate neighbourhoods. More information such as a video, planning controls, media announcements, public engagement report and other supporting material can be found at www.fishermansbend.vic.gov.au/framework.